With any luck, the competitive spirit of the ultra-rich is seeping into the philanthropic world. Hedge fund mogul John Paulson’s $400 million gift to endow Harvard University’s School of Engineering and Applied Sciences tops a $350 million donation to its public health school less than a year ago from the Chan family of Hong Kong. The more motivations there are to give billions away, the better. Paulson also presented $100 million to New York’s Central Park Conservancy in 2012. Stephen Schwarzman, meanwhile, just unveiled a $150 million contribution to Yale University. The Blackstone co-founder also made a big donation to the New York Public Library in 2008 and endowed a scholarship program for international students to study in China. The spectacle of plutocrats carving their names onto more and more buildings can be a turn-off. And it’s arguably less creative than throwing their time, intellects and networks, as well as their cash, at bigger global or societal problems (though people can do both). What the Bill and Melinda Gates Foundation does for poverty, medicine and education is a prime example. Yet giving money to Harvard to enhance an area of study where the Ivy League institution currently bows to cross-town rival MIT is hardly a bad choice on Paulson’s part. In a way, there’s a neat symmetry, too. Paulson made his fortune, and name, from the 2008 collapse of the subprime mortgage market, a great weakness in America’s capitalist system. His gift will bolster world-class academia, one of the country’s undeniable competitive advantages. 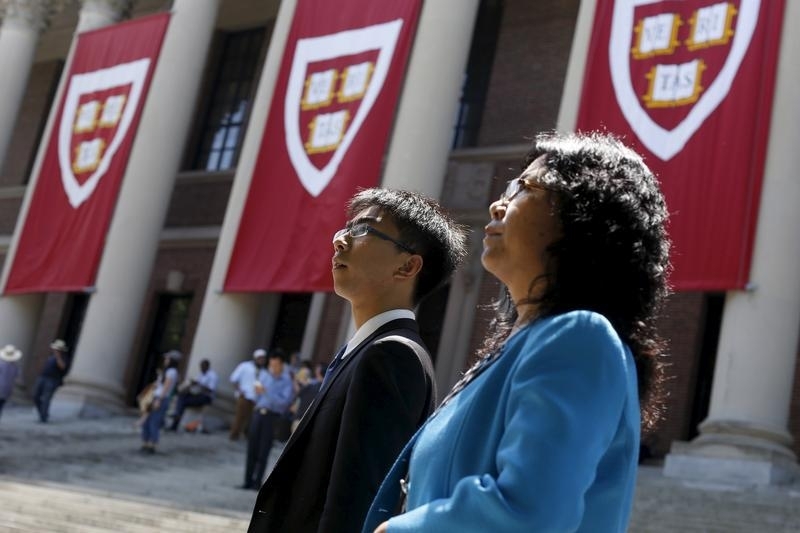 Even so, Harvard, Yale and other wealthy U.S. institutions are far from needy. That’s why innumerable smaller-scale donors to myriad causes are irreplaceable. Billionaires can help, too. Gates and Warren Buffett, for example, have now signed up 137 individuals and families – not yet including Paulson or Schwarzman – to their Giving Pledge, a commitment to give away the majority of their lucre. Such undertakings partly use the power of peer pressure. Paulson’s huge handout to Harvard may be the university’s largest yet because of the scale of his resources, the specific need and rising costs in general. If it also sparks rivalry among billionaires, though, that would be welcome in the charitable context. Harvard University said on June 3 that alumnus John Paulson, founder of $19 billion hedge fund firm Paulson & Co, had made the largest gift in the university’s history, a $400 million endowment to support the School of Engineering and Applied Sciences. The school will be renamed the Harvard John A. Paulson School of Engineering and Applied Sciences. In 2014 another hedge fund billionaire, Citadel founder Kenneth Griffin, set a record with a $150 million gift to Harvard. A few months later in September, the Morningside Foundation, a vehicle for the Hong Kong business family headed by Ronnie and Gerald Chan, topped that with a $350 million donation to the university’s school of public health. On June 2, the Giving Pledge – an initiative created by Warren Buffett and Bill and Melinda Gates to encourage billionaires to give away the majority of their wealth – announced the addition of 10 new signatories to the pledge since May 2014, bringing the current total to 137.